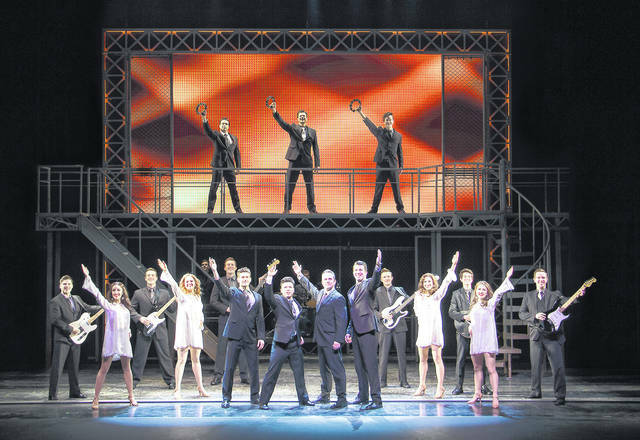 The National Broadway Tour of “Jersey Boys” arrives in Springfield on Sept. 29. SPRINGFIELD – The Clark State Community College Performing Arts Center will bring some East Coast flare to the stage with the 25th anniversary season celebration featuring the National Broadway Tour of “Jersey Boys” on Sept. 29. They were just four guys from Jersey, until they sang their very first note. They had a sound nobody had ever heard … and the radio just couldn’t get enough. But while their harmonies were perfect on stage, off stage it was a very different story – a story that has made them an international sensation all over again. The Jersey Boys will take the stage at 8 p.m. Tickets for the show are $43-$69 and available online at www.ticketmaster.com.